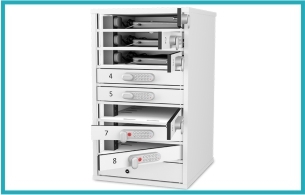 The 10 locker compartments are accessed via individual code locks. Each user chooses a 4 digit code, enters it to lock the door and once again to re-open. The next user repeats the process, so each locker compartment can be used by different people throughout the day. There are options for single user codes for repeat use and master codes for if codes are forgotten. Code lock lockers supplied with a master override key. Also available with key locks. 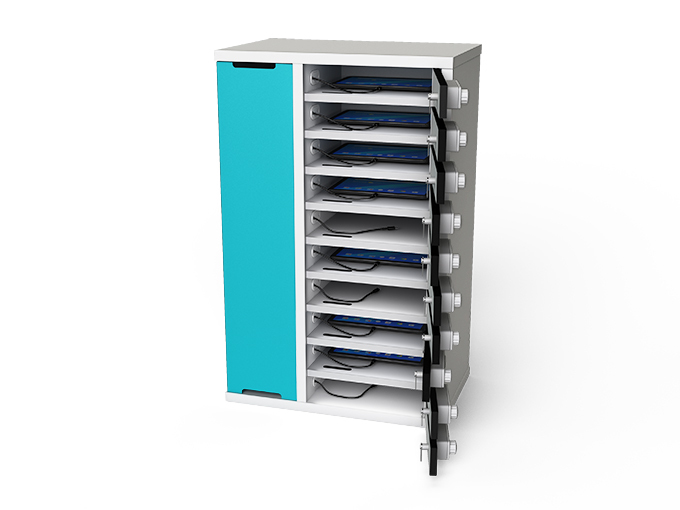 The zioxi 1:1 iPad Charging Locker is designed for situations such as 1 to 1 computing where the type of tablet to be charged is known. 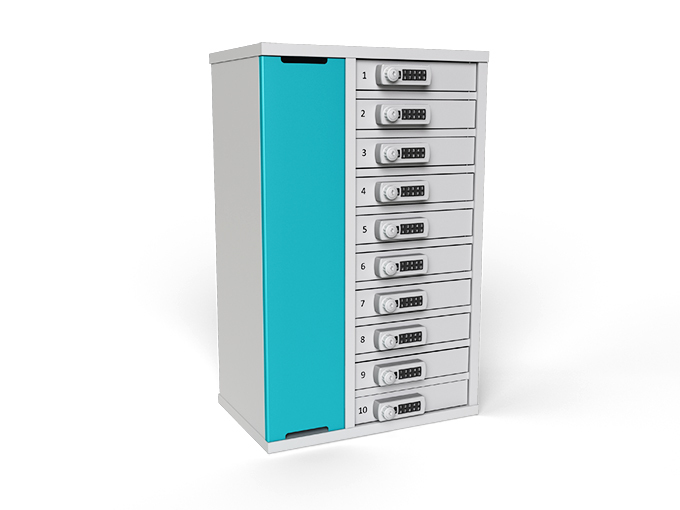 The 1:1 charging locker has a separate electrical compartment for plugging in and storing iPad and android tablet power adapters; so there’s no need for users to cart around adapters and cables. 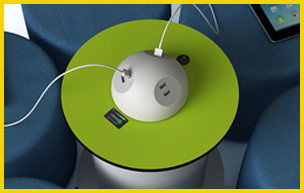 Or there’s options of a USB power or USB charge & sync module which does away with all the adapters. 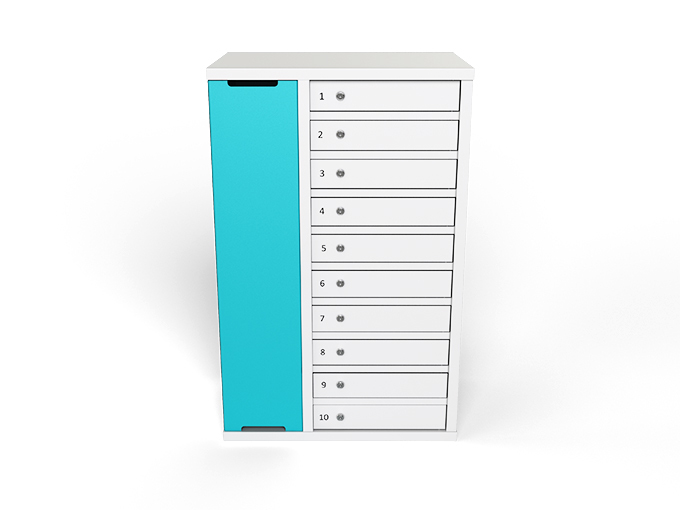 The lockers are very compact, stackable and suitable for iPads, android & Microsoft tablet PCs and other mobile devices in all standard case designs.